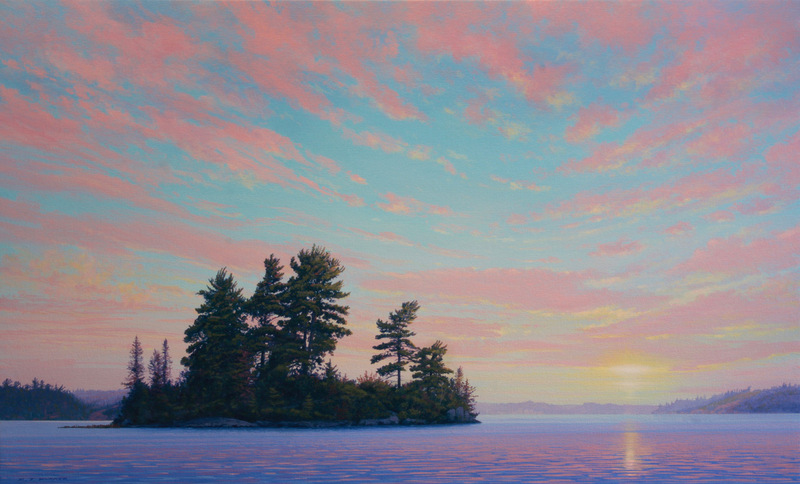 Recently added to the “Island Series” is this sunset painting from Lake of the Woods. It was not the obvious that intrigued the mind and heart but rather the transition of subtleties. There is a time of day when the transitions happen so quickly and light fades to darkness which is mesmerizing. This painting embodies that transition and the light that makes it happen.